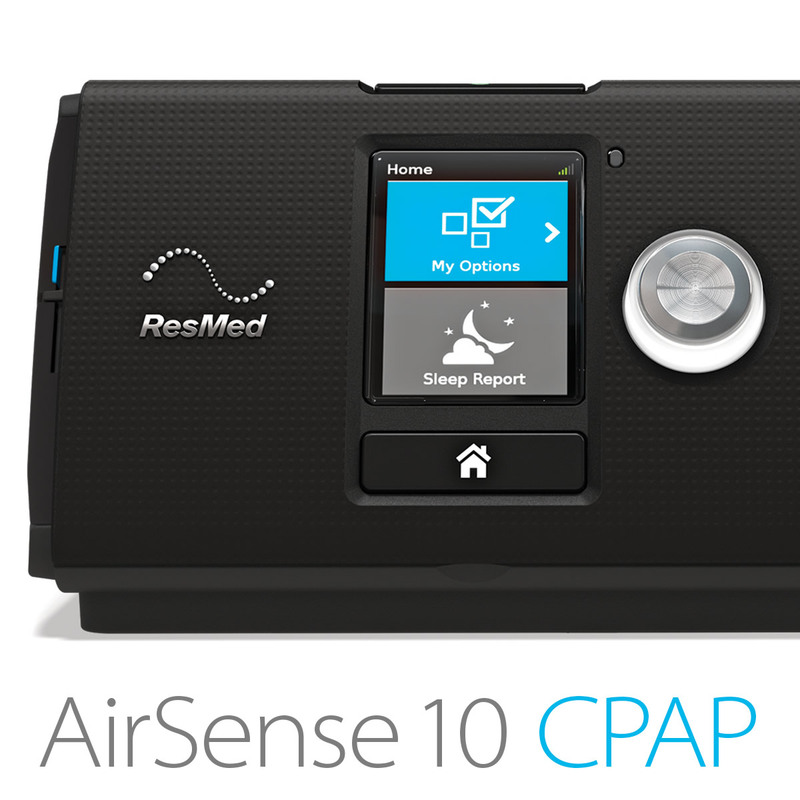 AirSense 10 CPAP Machine is a fixed therapy device designed for the treatment of sleep apnea. 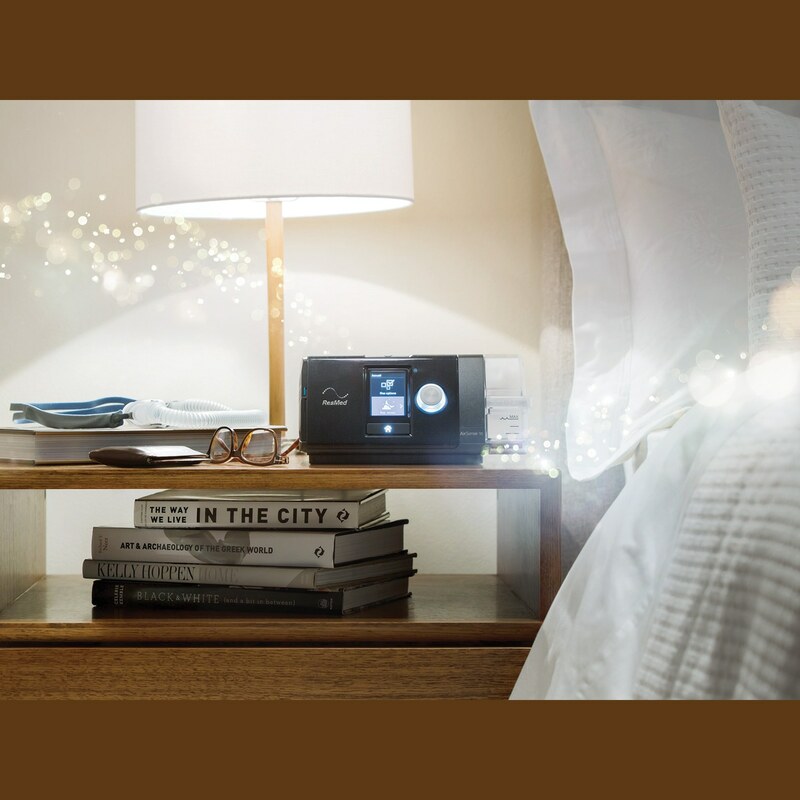 With a sleek, non-medical design, user friendly controls, and advanced comfort features like AutoRamp and EPR, AirSense 10 delivers comfortable sleep therapy. 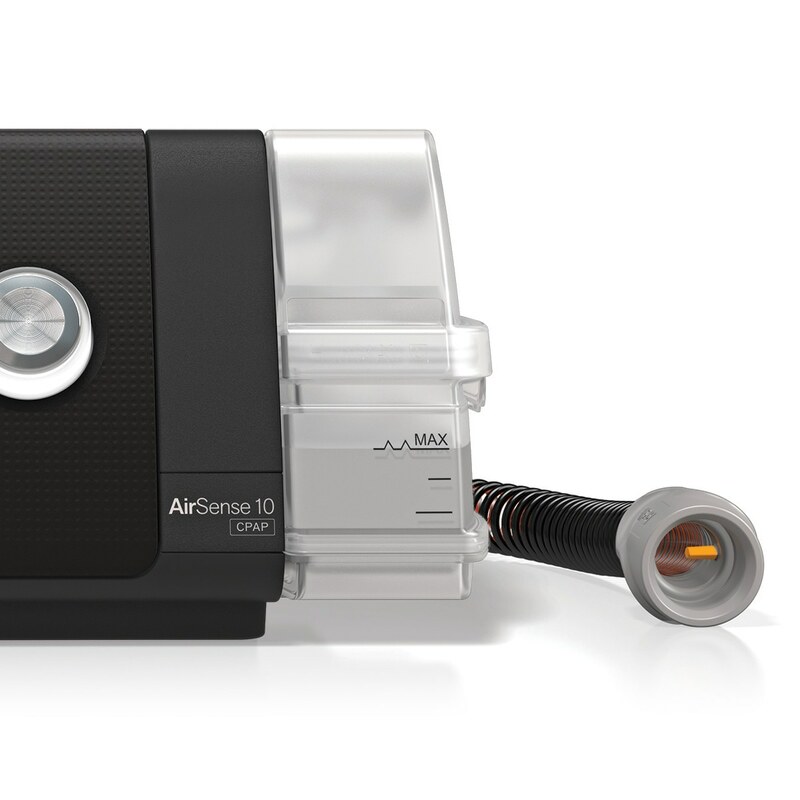 AirSense 10 comes with a built-in HumidAir Heated Humidifier for added comfort, and premium features like auto-altitude adjustment and mask fit. 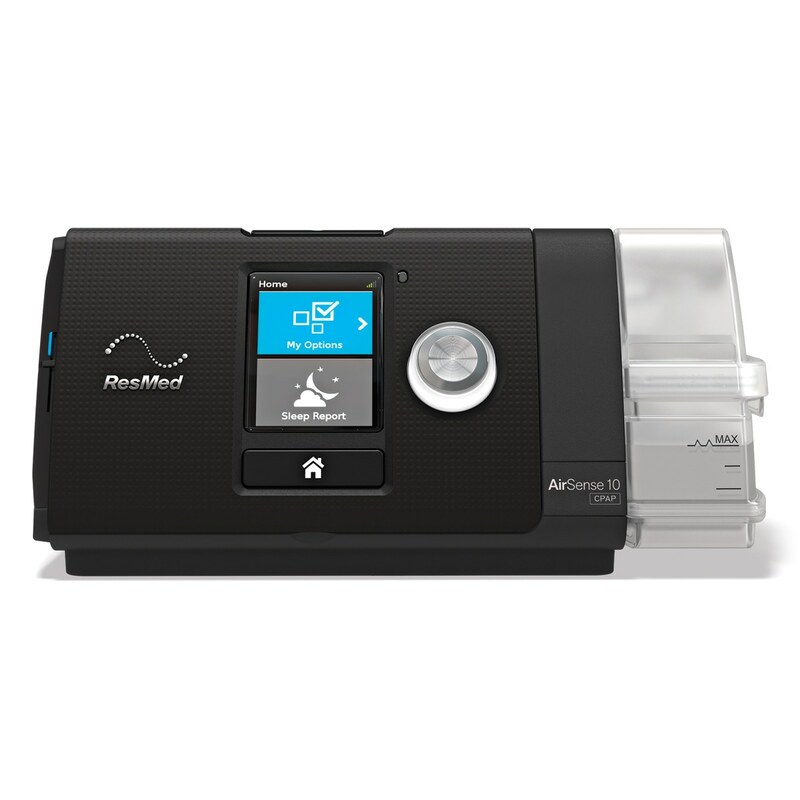 Single, Fixed Pressure CPAP Machine: ResMed's AirSense 10 CPAP (Continuous Positive Airway Pressure) Machine is a fixed pressure therapy device providing a single pre-set pressure level throughout the night. 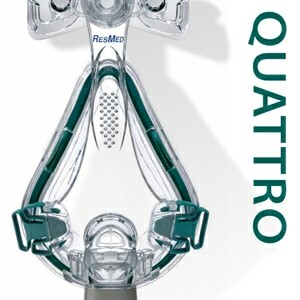 It includes premium comfort features like AutoRamp and EPR as well as a built in HumidAir Humidifier. 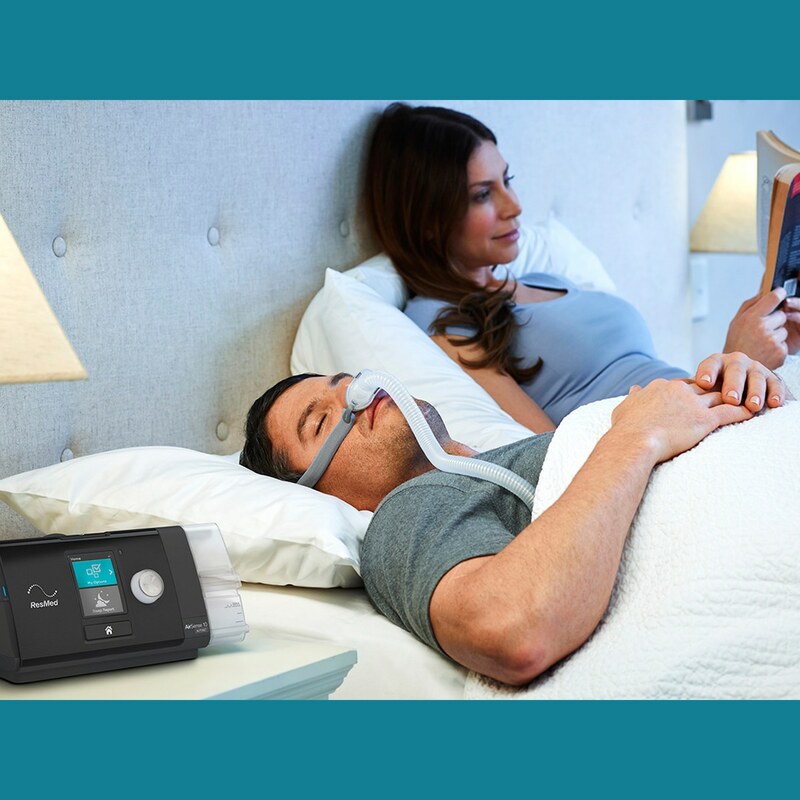 AutoRamp for Comfortable Therapy from the First Breath: AirSense 10's AutoRamp feature with sleep onset detection helps make therapy comfortable from the moment you turn on your device. 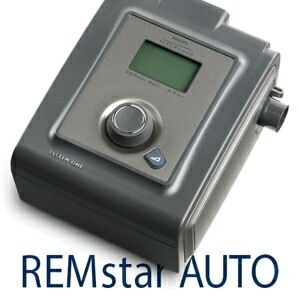 AutoRamp works by delivering a low pressure to help you fall asleep with ease. Once it detects you're asleep, it comfortably increases the pressure to ensure your prescribed level is delivered the moment you need it. 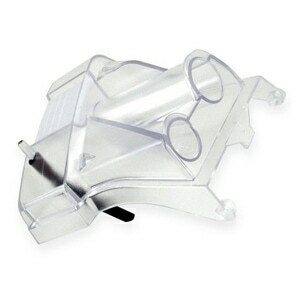 Built-in HumidAir Humidifier for Maximum Comfort: Heated humidification helps patients to sleep better and longer, without dry mouth or discomfort, during CPAP therapy. 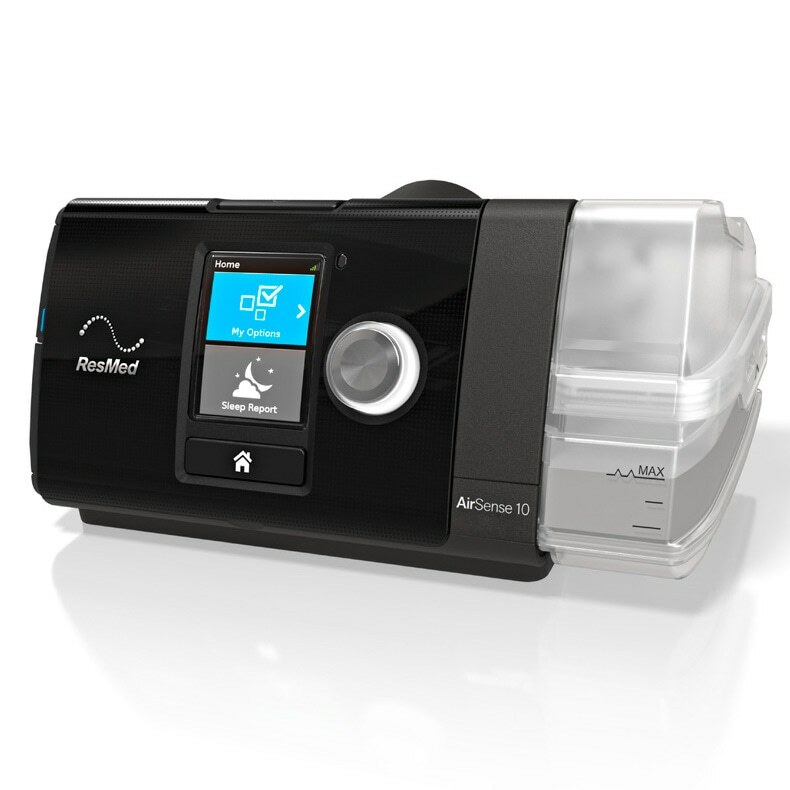 ResMed's HumidAir Humidifier is built directly into the AirSense 10 so it is much smaller and simpler than other "integrated" humidifier options. 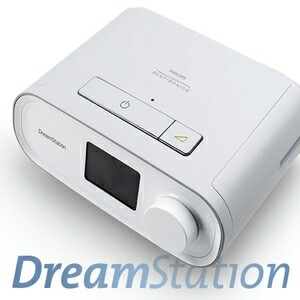 The AirSense's HumidAir humidifier is easily adjustable from the "My Options" screen on the device. You can turn humidity off completely or choose levels from 1 to 8, where 1 is the lowest humidity setting and 8 is the highest. 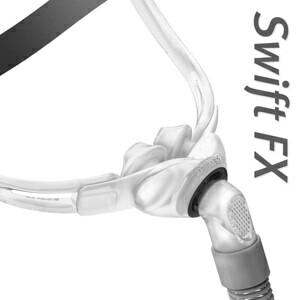 SlimLine & ClimateLine Heated Tubing Options: AirSense 10 comes with ResMed's ultra-light SlimLine CPAP tubing which is 40% lighter than traditional CPAP tubing. To optimize your HumidAir Humidifier's capabilities upgrade to ClimateLineAir Heated Tubing in your shopping cart. ClimateLineAir Heated Tubing adapts to changes in room temperature and ambient humidity levels to deliver optimum humidification while minimizing rainout and condensation. 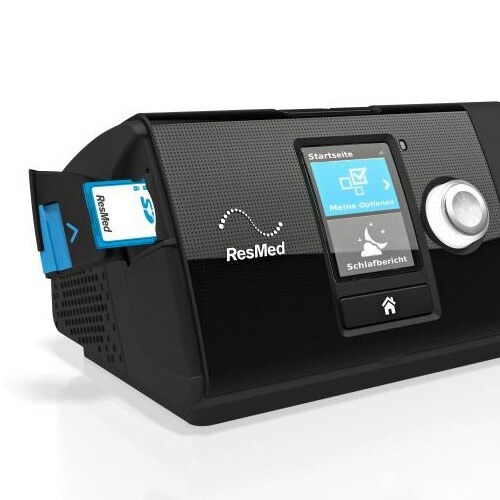 Expiratory Pressure Relief for More Natural Breathing: ResMed's EPR (Expiratory Pressure Relief) feature reduces the work of breathing during exhalation providing a gentler pressure that naturally adapts to your breathing cycle throughout the night. EPR can be turned off entirely or you can choose levels from 1 to 3, where 1 is the minimum pressure relief and 3 is the maximum. Easy-Breathe Motor & Ambient Light Sensors: AirSense 10's whisper quiet, Easy-Breathe motor makes for a peaceful environment for you and your bed partner. In addition AirSense 10 has an ambient light sensor that adjusts the brightness of the screen based on the amount of light in the room. So if you get up during the night and need to pause your therapy, the screen will stay dim so it doesn����t disrupt your partner. The screen����s back light also turns off automatically to help you fall back to sleep without disturbance. SmartStart & Auto-Stop Functionality: The AirSense 10's SmartStart function begins your sleep apnea therapy as soon as you breathe into your mask. When you remove your mask, it stops automatically after a few seconds. Really, what could be more simple! Intelligent Therapy Tracking & On Screen Data Display: AirSense 10's onboard "Sleep Report" is a valuable tool letting you know how your therapy is progressing each day. In the Sleep Report you can view basic therapy data like usage hours, mask seal indicators, humidification indicators, and AHI. Personalized Support with myAir: Like your own sleep coach, ResMed's new optional online program, myAir, provides support during every stage of treatment. By giving you access to your therapy data, it lets you continually track your progress and see how well you����re doing. Emails or text messages can also provide helpful education and encouragement to support you along the way. As you mark your successes and celebrate your milestones with awards and badges, you����ll stay motivated to keep going. Patients can view their sleep data from the previous night using the myAir dashboard. Intuitive icons and charts make the dashboard simple to understand and follow. 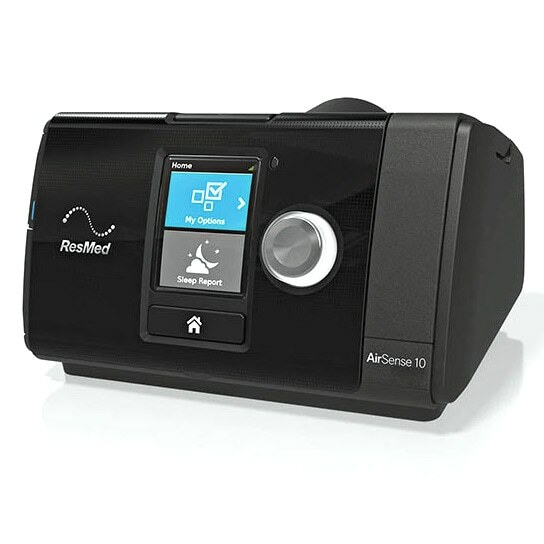 In The Package:AirSense 10 CPAP with Built-In HumidAir Heated Humidifier, Standard Humidifier Chamber, Breathing Tube, Universal AC Power Supply with Cord, Travel Bag, Filter, Filter Cover, SD Data Card, Printed User Manual, Warranty. Select Additional Product Options & Extras in Cart. 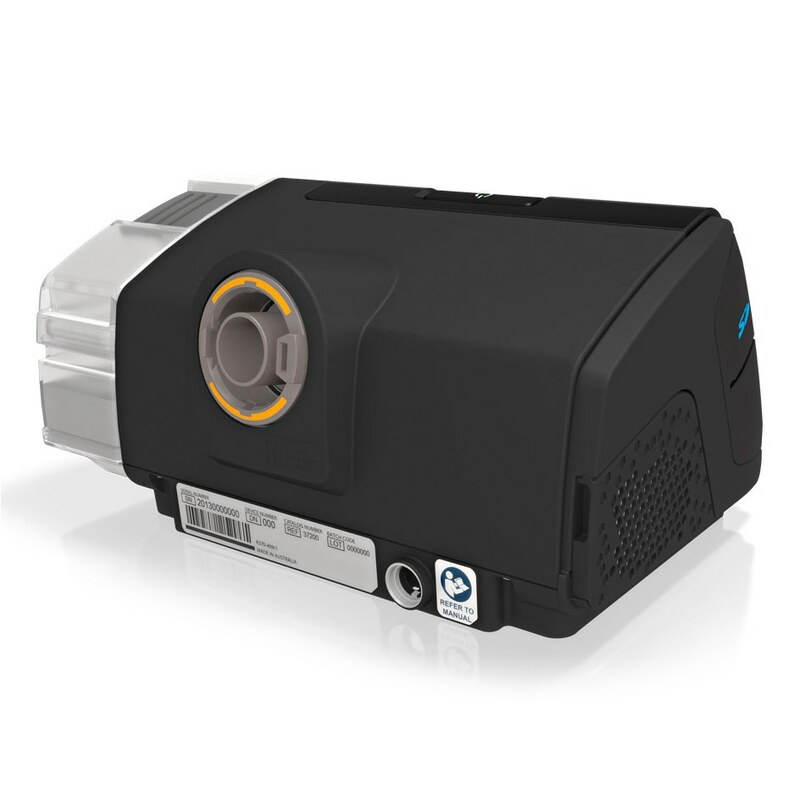 Default Settings: Ramp Auto, Ramp Start Pressure 4 cm H2O, Humidity Level 4, EPR Off, SmartStart Off, Tube Type SlimLine, Antibacterial Filter No, Airplane Mode On. Data Included: 365 days of summary data plus a variable amount of detailed data depending on data card size. Data available includes Usage Hours, Events (AHI) Per Hour, Mask Seal, Humidification, Days Used, Days Used 4+ Hours, Average Usage, Used Hours, Average Pressure, Average Leak, Average AHI (Apnea-Hypopnea Index), Average AI, Average CAI. Very helpful and accommodating! Shipped very fast, and pleasant to work with - fast email responses.